As you may or may not know we have been working on a 20th Anniversary Jersey. This is a one off jersey to celebrate our 20 years of the club’s heritage. Some of you older members will remember the original design of the jersey. We had a vote at the AGM to reduce 8 designs down to 3. We have created a survey to see which of the 3 is the most popular. 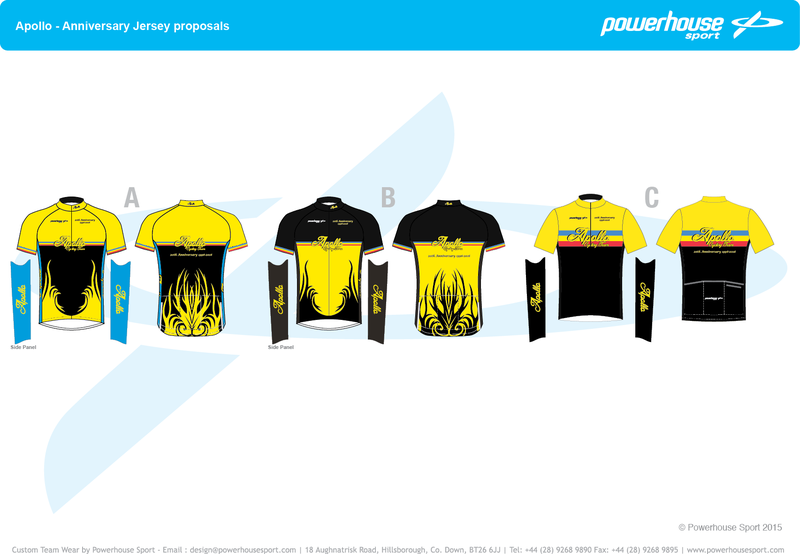 If you want to vote please do, but we expect people who voted are going to purchase the design. We need a minimum of 20 pieces to make it worthwhile producing with Powerhouse. The winner will be available to buy at the next round of club clothing which is at the end of January. So this will enable it to be with you for the start of the season. Please remember this is a one off, and will not be replacing the current kit. I hope that this is the start of a special year in the club, and we look forward to planning other events to mark our 20 years. Apollo have teamed up with Colin Ross for six training sessions. Starting in April the first two sessions will be at Mary Peters. This is an exciting opportunity for Apollo as our sponsorship deal, with Chain Reaction Cycles, gives us access to the Team Vitus rider. Colin Ross (Rosco) is a 7 time national downhill mountainbike champion in Ireland and has also represented Ireland at the world championships 6 times. Through his career in cycling he also worked as a fitness instructor at a local gym in Belfast and after working there for over 7 years he decided in 2009 to go out on his own and started up “Rosco Lines”. The idea behind this was to setup a company that specifies in both mountainbike coaching and fitness training. 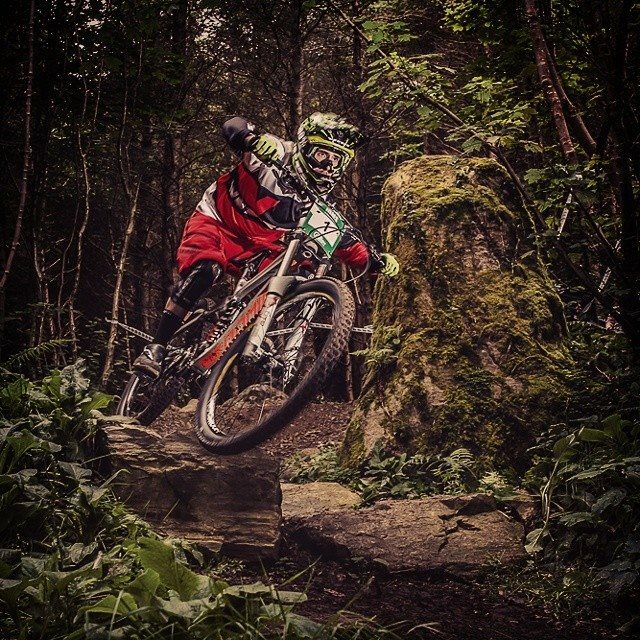 So whether it’s XC, DH or just for fun and fitness we will have something to suit your needs. We have 10 places per session. These sessions are free and our open to all club members. Although preference will be given to youth riders who compete in XC. If you are interested please get in touch with Dylan. The first dates are Wednesday 8th April and Wednesday 22nd April. Tomorrow morning Lurgan Park, 10 am. Mountain Bike coaching. All kids of all abilities welcome. Helmet compulsory. Mountain Biking is the best way to get your kids cycling, its the recommended entry route to the sport by all experts and governing bodies. Get them started young with Apollo CT.
Can the Rockets parents please send me your email address and phone number. Im going to be getting together an autumn schedule for the kids to try keep our momentum and I think its a good idea if I have your number in case of any last minute cancellations (im thinking because of weather) . You can email me at secretary@apolloct.com or just PM it to me. This Saturday we’ll be starting kids MTB coaching in Lurgan Park, the kids section will b called “The Apollo Rockets”( the grass area between the bowling pavillion and Windsor Avenue) at 10 am. All kids are welcome, Apollo members or not. Heres some info for you. Do I need a fancy bike? Nope, literally anything, BMX, a pink Barbie bike with a basket on and stabilisers, it doesn’t matter, we’ll have something for them to do. What’s the point of this? An introduction to cycling and cycling club culture. Ideally we want you and your kid to join our club. How long will this run? All summer we hope. There will be breaks (the 12th July etc) but we hope to run it every Saturday. 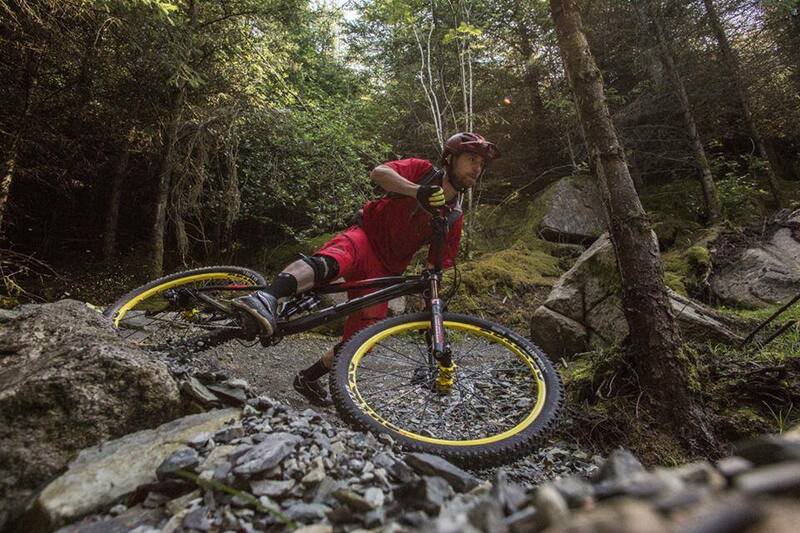 Is it just mountain biking? For now yes. But we will be moving the older kids on to the road when they’re ready. Mountain Biking is the best way to keep kids involved in cycling, they can move on to the road or track when they get older. 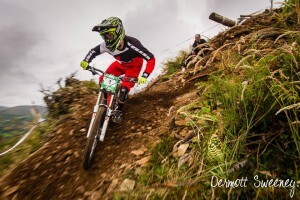 Northern Ireland has a great full and active MTB scene with races for kids of all ages. A great way to keep them active. Why the park? Because the wee ones will be able to fall off onto the grass without hurting themselves, and they most likely will. It will also allow us to gauge interest and ability in a safe environment. What about the older kids? Well, there are trails in the forested bit in the park and they can ride around those but we can bring them out to the trails at Craigavon Lakes on Wednesday evenings with the rest of the club on our regular MTB outing, if they’re interested and good enough. What format will the session take? We will have basic skills involving some obstacles and bike handling followed by short races. Do you have access NI vetting in place ? Yes. Do you have insurance indemnity in place? 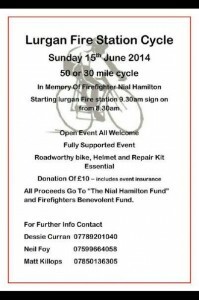 Yep, all good, we’re insured through our governing body Cycling Ireland to use Craigavon Borough property for our activities. Do you have First Aid training? No. Does my child need to join the club? Yes, eventually. Do I need to join the club? Not unless you’re riding with us but we’d like you to. Can I leave my child with you and come back for them after the session? No. We require you to remain on site for the duration of the session. Can I ring you? Yep , my number is right there at the bottom of the page. Apollo Cycling Team formed in 1996 as primarily a racing club. In the past few years the explosion of interest in cycling has seen the club grow to the point that we now have 100 active members, with a growing and vibrant ladies section and club rooms in Lurgan High Street. Although we do have a children, mostly kids of existing members, we’d like to see a lot more . This is just the start of a development program that we hope will grow and see the kids section of the club become the future of the club as a whole. Welcome to the club and as we say here UP APOLLO. Apollo at the Andalusian 6 Day. Report Courtesy of Cycling Ulster. 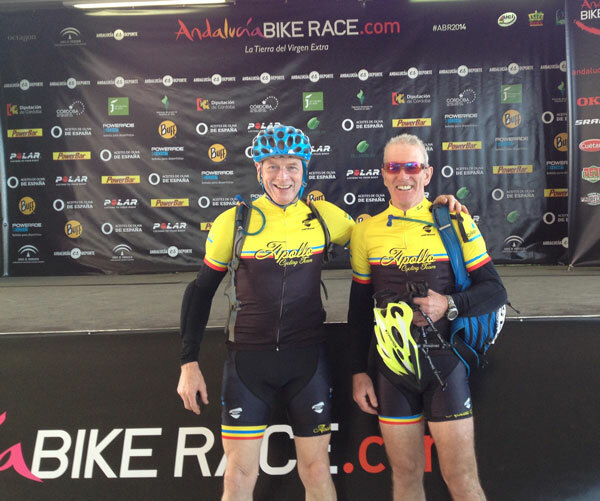 Derek King and Fred MacSorley, both riders in their early 60’s entered the Andalusian 6 day MTB race. Trace now in its 4th year is, by all accounts, growing in popularity and professionalism every year. We decided to purchase a support package from a firm called Pure Mountains and this, like good travel insurance, proved it’s worth from the moment we arrived at Malaga Airport on Friday February 28th when Jenny from Pure Mountains was waiting for us and within a few minutes we were in her landrover with our bike bags secured in the trailer heading for our accommodation in a beautiful villa complex in the hills overlooking Malaga. It was there we met some of the riders we would spend the next week with. There were two more cyclists like ourselves plus Pure Mountains’ Tim and his mate Gary from Vamos cycling. Unpacking the bikes in sunshine was a rare pleasure having left wet and miserable weather at home and it was great to see several bike work stands and a full cycle tool kit placed at our disposal not to mention the expertise of Tim for any mechanical problems. The next day we met with the last arrivals the two lads from England and we headed off to register for the race (a 90 min drive). 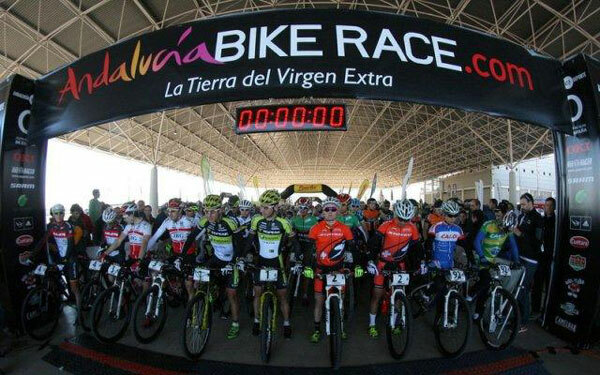 Registration was chaotic but somehow in the gabble of rapidly spoken Spanish and the tangling of various queues we all managed to get our correct race plates. The front plate had one’s race number and surname on the front and a timing chip stuck on to the reverse side which was clever and avoided using wrist or ankle bands and having to return the chips at race end. It was here at registration that the value of having a support package became evident when one of the English riders unpacked his bike to discover his carbon subframe had suffered irreparable damage to one of the main support arms most likely in transit. In effect his race (and that of his team mate!) was over even before he turned a wheel. This was 4.30pm on a Saturday afternoon in a leisure centre on the outskirts of a large town. Jenny from Pure Mountains got on her mobile and after several phone calls conducted in rapid Spanish sourced a replacement bike for our hapless rider. A full carbon Merida full sus for 35 euros a day which given the beating the bikes take over the race seemed very good value. Sunday dawned frosty (we were staying in a spacious villa in the nearby hills) but bright and the dilemma of how much food/water/clothing to take was made easier by our decision to pay 70 euros for a “tech box” to be delivered at the mid way point in each of the following 6 day stages. It was good to know if the weather changed we could stop and get extra food/fluids and dry clothing. These boxes supplemented the official feed stops en route and we threw in such items as spare tyre/tubes/rear mech and tools as well as our extra food and clothing. Race start was heralded by 800 riders all streaming off in a long line to the blast of music and the machine gun delivery of commentary from our Spanish hosts and as the fast guys pushed on the “peleton “ gradually lengthened to well over 1km as we negotiated the climb out of town towards the mountains. Derek and I had decided to “ start slowly and go steady” bearing in mind there were 6 days to go with some 10,000metres climbing ahead. After at least one hour of climbing we came across the first of the technical sections and it became a case of cyclocross as we shouldered the bikes and started climbing up very steep and narrow trail littered with rocks the size of a fist. 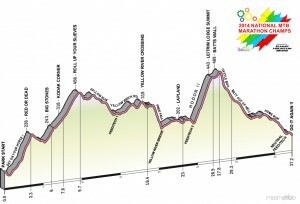 I do know the elites rode up this section but the vast majority of riders were walking (and stumbling and falling!). The descents were amazing making Kilbroney seem like a walk in Lurgan Park with a mix of narrow fire roads with slippy hairpin bends and various skid marks disappearing into the undergrowth very commonly seen on the exit of the bends and narrow steep rocky descents. We made steady (i.e. slow ) progress and had one mechanical scare when following an off Derek’s rear mech cage split but somehow by nursing the bike we finished the stage at 6 hours (exactly twice the time the pros took!). Tired but pleased would sum up the day. Despite being slow finishers Jenny from Pure Mountains was waiting patiently at the finish line ready to take us back to the accommodation the others having gone on before us. First job was clean and inpect the bikes (hoses brushes and workstands and tools were waiting for us). Jenny sourced a replacement rear mech for Derek from the shimano team tent at the finishline so it was shower time as soon as the bikes were sorted and a huge feed and off to bed early for a good rest before the second stage. We awoke to rain and it set the scene for the day ahead. A 70 Km stage with another 1800m climbing, and it soon became clear as we started cycling out of the town into the local olive grove hillsides this was going to be one slippy muddy ride. The climb was tough going up to the snow line and the descents as steep as previous day but with the added hazard of slimy mud which with a clay base made traction very sketchy. Derek broke a chain on a steep climb and we repaired this and carried on. We both had a few tumbles and one in particular on a steep descent was one of those mud/sky/mud/sky/mud/long sky falls that left me winded and sore lying on my back like a stranded beetle! Thankfully the bike was undamaged even if the bars were pointing in the wrong direction. We carried on but the pain in my left lower back was too sore to sit for long so I rode the last 2 hours standing up which made the descents sketchy to say the least. We finished in 7 hours (again twice the time of the pros) covered completely in mud, soaked and very cold! It was later that evening I realised I was in trouble barely able to walk, and puking into flowerbeds at our accommodation! A trip to the local (excellent) hospital confirmed bruising to the deep muscles overlying the kidney and I knew I was out of the race. Derek was more than generous with his support despite having his partner pull out at the end of the second stage and in effect our race was over. We knew he could continue on without me but the team would not be credited a finish but at least he would get to ride the remaining stages. Again thanks to our excellent support package the Spanish speaking Jenny smoothed the paperwork and provided transport and even went to the local pharmacy that evening to get my prescription dispensed. What a wonderful service! Derek to his credit never complained and rode well over the remaining stages (in fact he was faster on his own!) 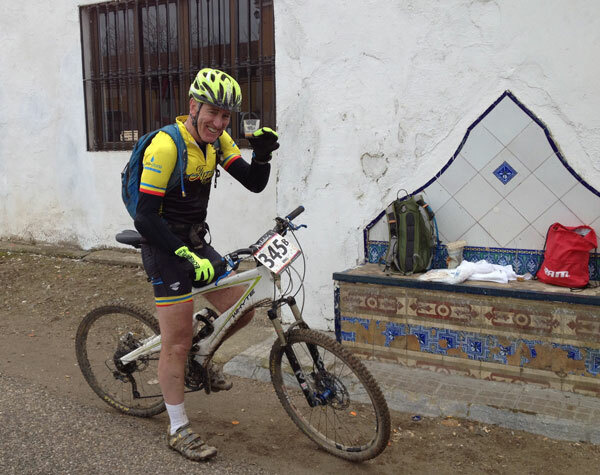 and it was great to see him cross the final finish line on the Friday afternoon after a tough final day which included the usual relentless climbs and rocky technical descents and riding along a disused railway line for a very fast but bumpy one km section. 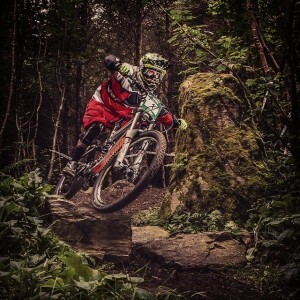 The lads on hardtails really suffered on that section. Whilst Derek was racing the remaining sections I had time to explore the race start/finish area looking at how the professional teams from Cannondale, Specialised , Giant and Trek all had large mobile workshops and endless supplies spare bikes, wheels and frames. I was surprised at the paucity of full sus bikes and it was evident the majority of the elite riders were on full carbon framed 29inch wheeled hardtails often with a single chainset and the SRAM 11 speed cassette. The debate in relation to the ideal wheel sizes will continue no doubt for some years and Derek and I felt very much in the minority in our 26inch wheel sized bikes. So what did we learn from our experience. We now have a much better idea of the training requirements for multiday long distance off road events and were pleased our choice of kit and our bike preparations were adequate and we had avoided any retirements due to poor planning. It also goes to show that you cannot rule out the possibility of things going pear shaped and our decision to enlist the services of Pure Mountains as our support package was an inspired move and worth every penny! 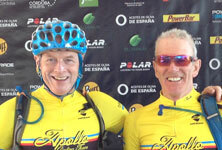 Cycling Ulster would like to wish Fred a speedy recovery and to congratulate both riders on taking on such an epic race. We’ve got a first aid course happening in the club rooms this Thursday night at 6pm. Its free and there is only 6 places left. It would be great if some more Apollo members had some basic first aid training, for obvious reasons. 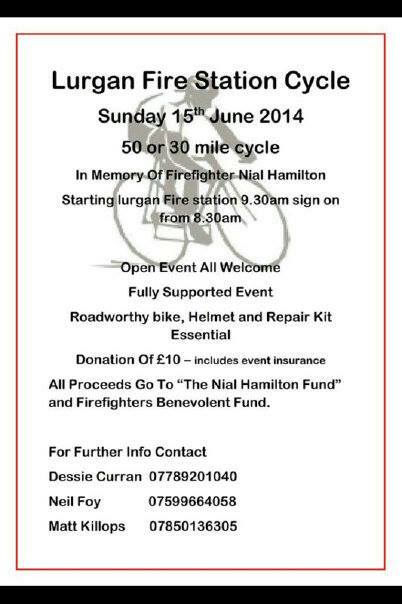 If you fancy attending please let us know asap. The excitement is palpable. The build up has begun. 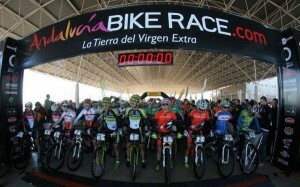 The second biggest race in world cycling and one of the biggest across all sport is coming here in May. Here in Northern Ireland there are only two words on every cyclists lips, Giro D’italia (or is that three?). The non-cyclists don’t yet realise whats about to hit them, or the silly fat people as we call them behind their backs, but we do. Obviously an elite few will only get to experience being in the pro peloton but we can dream and engineer alternative to suit ourselves, the human spirit will persevere in the form of a Gran Fondo to suit your ability. 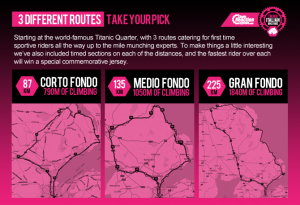 Our friends at Chain Reaction Cycles in Belfast have organised a series of sportives the week before the big event and there is a LOT of chatter among our membership. I wouldn’t be surprised if half the club are on this. I would adise getting in early though as numbers are limited to 1000 I do believe. UP APOLLO. Heres a link to the event FB page. Error: Error validating access token: Session has expired on Saturday, 09-Feb-19 01:43:10 PST. The current time is Saturday, 20-Apr-19 03:14:34 PDT.